So in November 2013 I had a very close friend commit suicide. “Why am I putting this here?” may well you ask. Well, at the time we were gearing up to start my initiative ‘I can and I will’. This was a vision to help others by doing various extreme endurance challenges. With him passing, I was totally devastated, it drove me on however. Shortly thereafter I founded ‘I can and I will’. During this period I heard about this little girl called ‘Margot’. 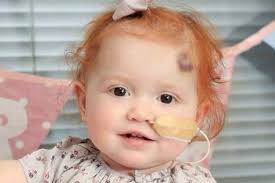 A beautiful red haired wide eyed bundle of joy (see picture above) Margot most sadly had two forms of Leukaemia. So rare a situation that Cancer Specialists may only see this once in their careers. Now I have often worked with children with cancer and this struck deeply to my core. I watched as best I could from afar of the fight that ensued by one and all in the ‘ Martini ‘ family. I watched and saw in awe their fight to never give up. 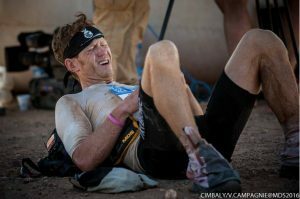 I saw how Team Margot evolved and am utterly inspired by what has been achieved by the Martini family and feel privileged to support them as I did, when I ran my Back to Back Double Marathons Des Sables. Team Margot campaigns for people to join the worldwide registers as potential bone marrow/stem cell donors, especially people from ethnic minorities or those with a mixed heritage as getting a match is far harder to do.In order to have a bone marrow transplant, first you need a matching donor – someone with the same tissue type. So there are registers of potential donors that exist. This is because when it comes to tissue type, your race and ethnicity matters. Team Margot wants to see every patient in need of a bone marrow transplant quickly finding a matching donor and to help save the lives of all those people who never thought they’d need a bone marrow transplant. A goal is to increase the 1 million people currently registered (1.6%) to 2.2 million people (c.4% of the population) on the UK stem cell register. 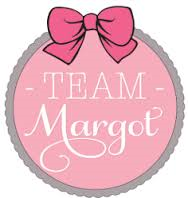 Team Margot also has a grant giving Foundation that supports people and projects close to their hearts.